Thousands of stream gauges measure flows in rivers across the country, providing crucial data for water management, science and safety. A federal program is working to patch gaps in the network left by tight budgets. The U.S. Geological Survey oversees a network of more than 8,000 stream gauges, many of which have been vulnerable to going offline over the past few decades when state and local funding partners pull support. The agency’s National Streamflow Information Program has worked to create a stable stream of federal funding for a subset of those gauges that are necessary for the federal government to meet its obligations. Federal needs for streamflow information include the National Weather Service’s flood forecasts and measuring flows across state and international boundaries. But the benefits of the gauge network as a whole reach more deeply into society that most people realize, according to Michael Norris, the information program’s coordinator. 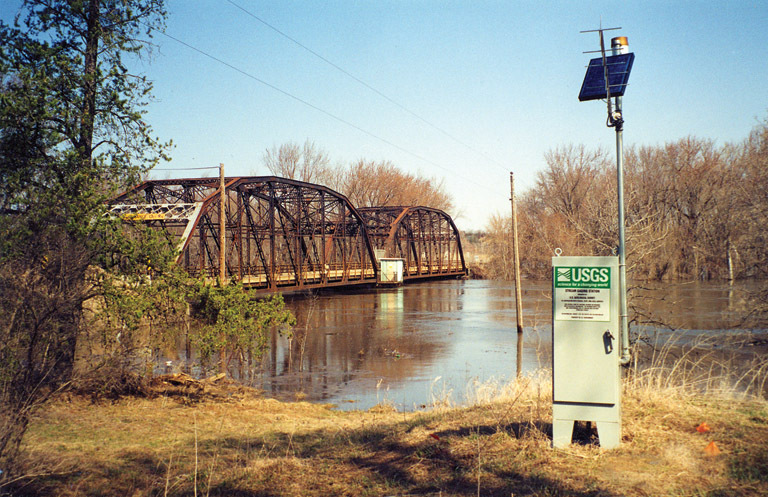 USGS Minnesota stream gauge during 2001 spring flood (Credit: Eric S. Wakeman/USGS). The program puts a special emphasis on maintaining gauges with long-term historical records. “Long-term” takes on something of an exaggerated meaning when it comes to stream gauges, where 30 or even 50 years of data is a minimum for reliable statistical analyses that govern floodplain designations, bridge and reservoir design, and water management. That’s because even a 10- or 20-year record might be skewed by decades-long fluctuations in climate and precipitation. That can make for costly miscalculations when policy makers or engineers use the data to divvy up water resources or design flood control structures. For example, the 1922 Colorado River Compact that divides water between seven Southwest states is based on a 17-year record that covered some particularly rainy times. The climate has since shifted drier, and water is running short. Even the 35-year record used in the 1950s to design and build the Folsom Dam and Reservoir on the American River upstream of Sacramento has proven to be misleading. That period trended drier than the long-term average, and now a nearly $1 billion project is underway to bolster the system’s flood protection capacity. “There’s much more appreciation that flows aren’t as stationary as people once assumed they were,” said Glenn Hodgkins, a hydrologist with the USGS New England Water Science Center. Hodgkins is working with an international group of scientists to identify long-term trends in streamflow data across North America and Europe. 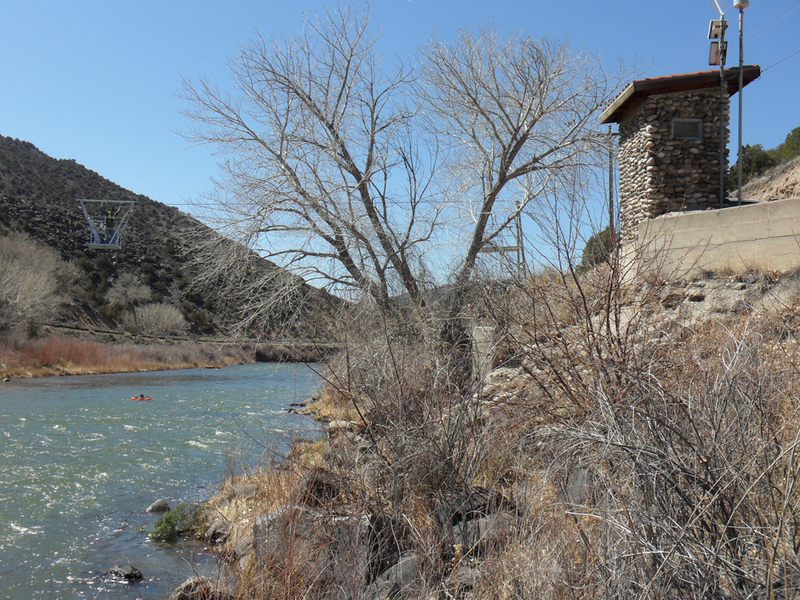 The National Streamflow Information program was meant to be fully funded within 10 years of its launch, but so far has only received 25 percent of that, Norris said. At full funding, the program has a goal of bringing around 1,000 discontinued gauges back online, bringing the nationwide network up to 9,500 or 10,000 stations. “At that point we would be thinking that this is a good minimum network,” Norris said.